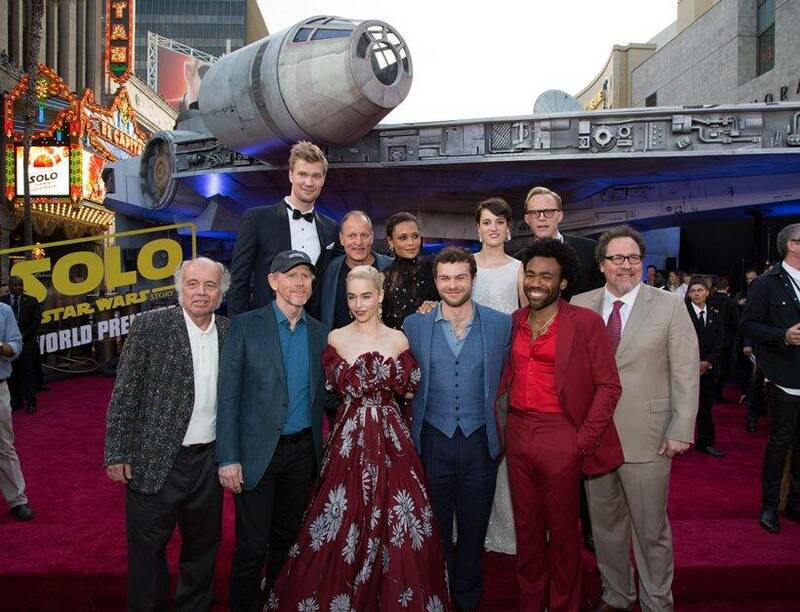 Solo: A Star Wars Story recently had its world premiere in Los Angeles and here are the photos. Star Wars spinoff Solo: A Star Wars Story recounts the adventures of Han Solo and his equally legendary co-pilot Chewbacca before they met the Skywalkers and before the events of the original Star Wars film. Han Solo is one of the most loved characters in all of cinema and although Harrison Ford cannot portray it in this film, people are still excited to see what the youngster Alden Ehrenreich (known for Coen brothers movie Hail, Caesar!) can (or cannot) do. The film also has a glittering supporting cast with established names like Woody Harrelson, Emilia Clarke, Donald Glover, Thandie Newton, Phoebe Waller-Bridge, Joonas Suotamo and Paul Bettany. Ron Howard helms the film after taking over the reins from Phil Lord and Christopher Miller. 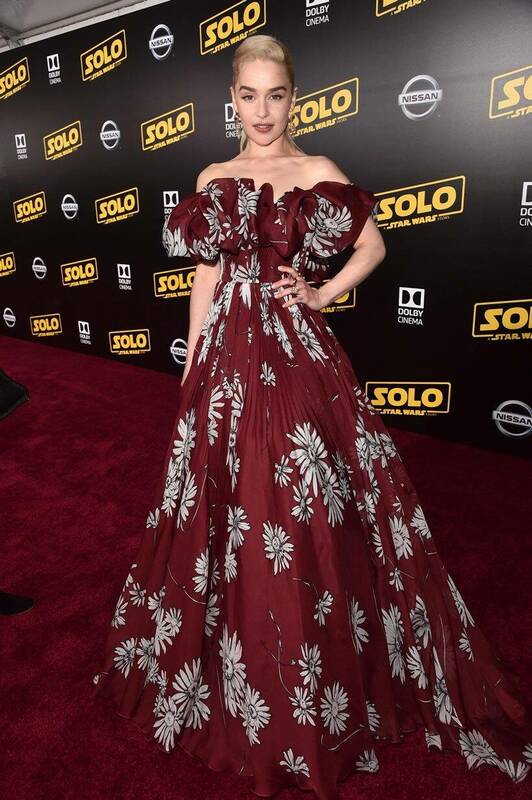 Solo: A Star Wars Story recently had its world premiere in Los Angeles and here are the photos. 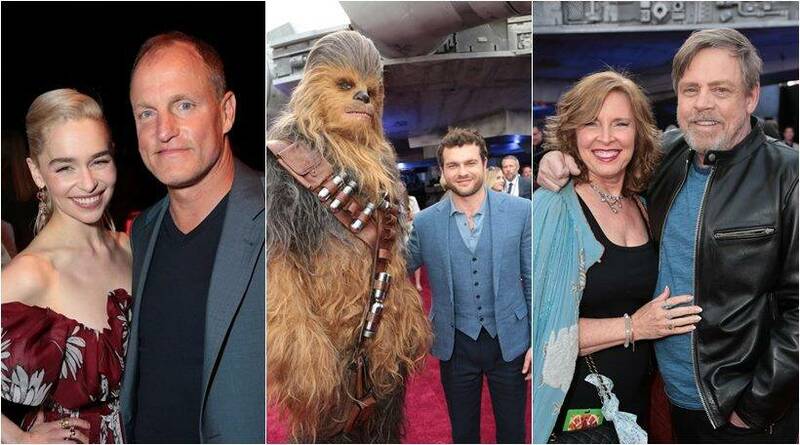 Lucasfilm, the Disney subsidiary that produces the Star Wars family of films, has chosen a huge cast for what was previously expected to be a small-scale film. Except for Han Solo, Chewie and Lando Calrissian, all characters are new and specifically written for the film. Above the heads of the cast and crew of Solo: A Star Wars Story, you can see a life-size replica of the Millennium Falcon. 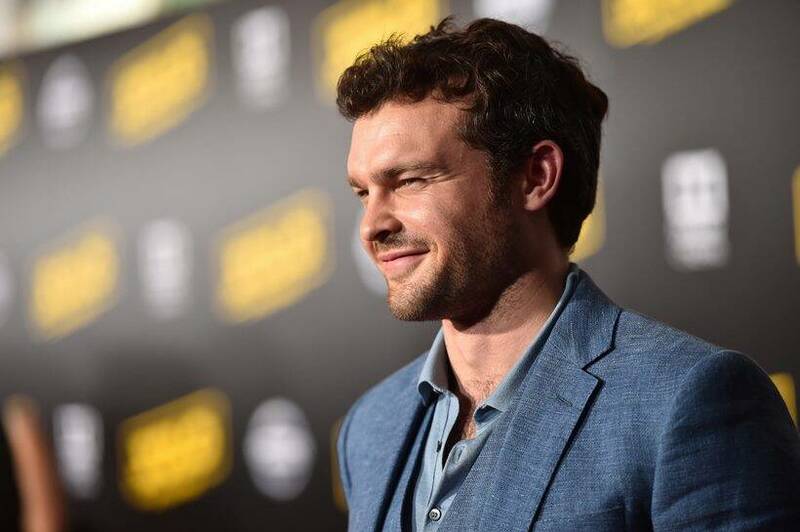 Alden Ehrenreich graced the premiere of Solo: A Star Wars Story. Ehrenreich's casting was controversial with diehard fans claiming that he looked nothing like Harrison Ford's tall, charming smuggler. It remains to be seen whether the actor has done justice to the role. 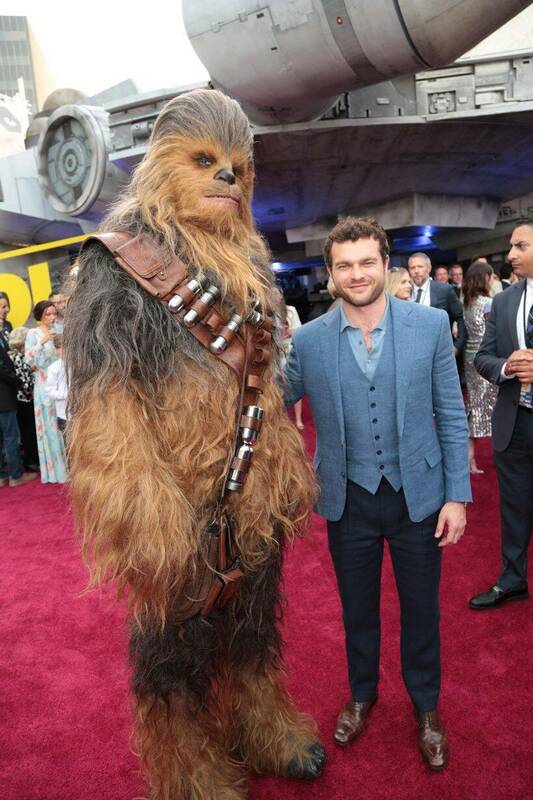 Alden and Chewbacca (played by Joonas Suotamo) snapped at the premiere of Solo: A Star Wars Story. It would be interesting to see how they first met and how their exemplary friendship developed. 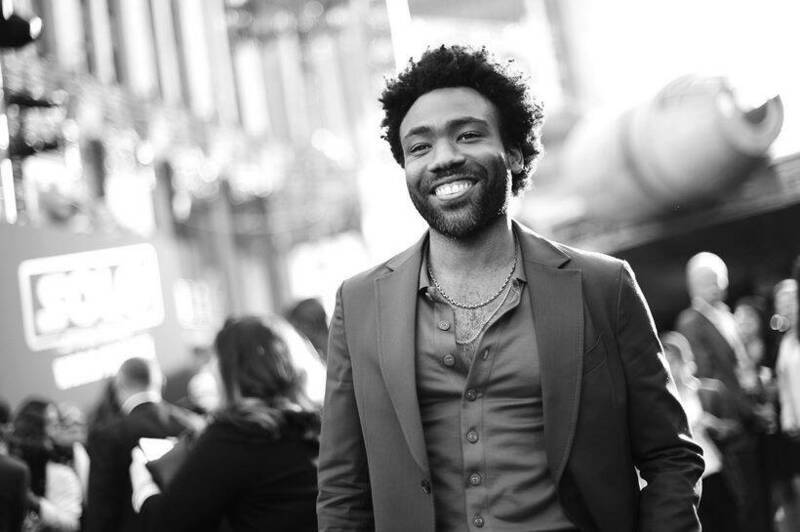 Donald Glover as Lando Calrissian attended the premiere of Solo: A Star Wars Story. Billy Dee Williams famously portrayed the character in the last two films of the original trilogy. It is well known among Star Wars fans that Lando was the original owner of Solo's iconic spaceship, the Millennium Falcon, which he won in a bet. 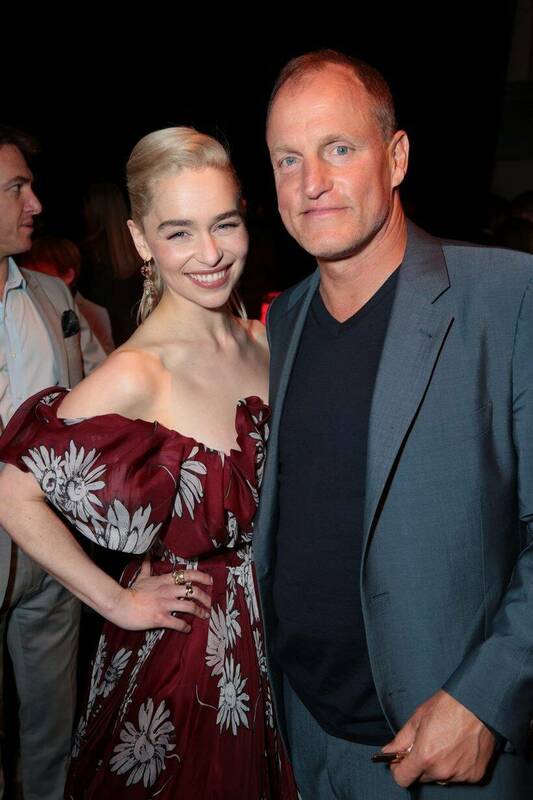 Woody Harrelson and Emilia Clarke pose for the shutterbugs. Harrelson is playing the role of Tobias Beckett, a mentor and a criminal. The character is said to be based on the popular Long John Silver from Robert Louis Stevenson's classic adventure novel Treasure Island. 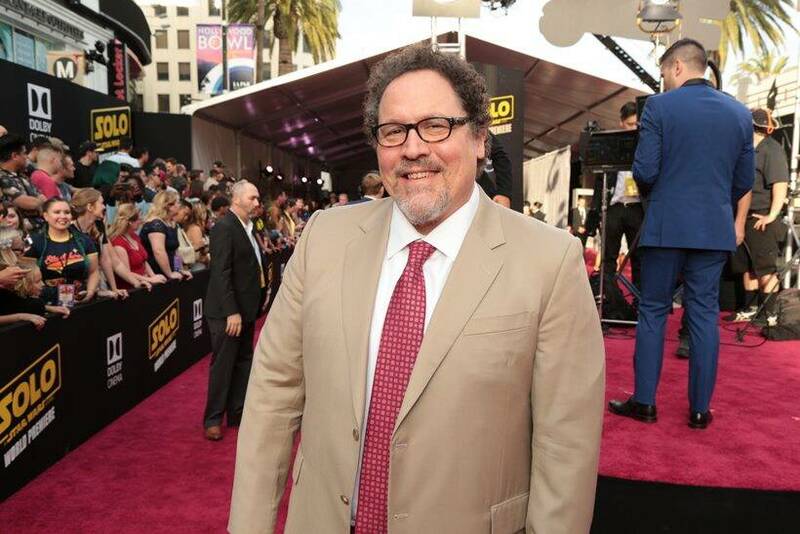 Jon Favreau, who has worked with other Disney properties like Marvel Cinematic Universe (directed and acted in Iron Man) and directed live-action The Jungle Book, is going to voice "a very cool and important alien character." 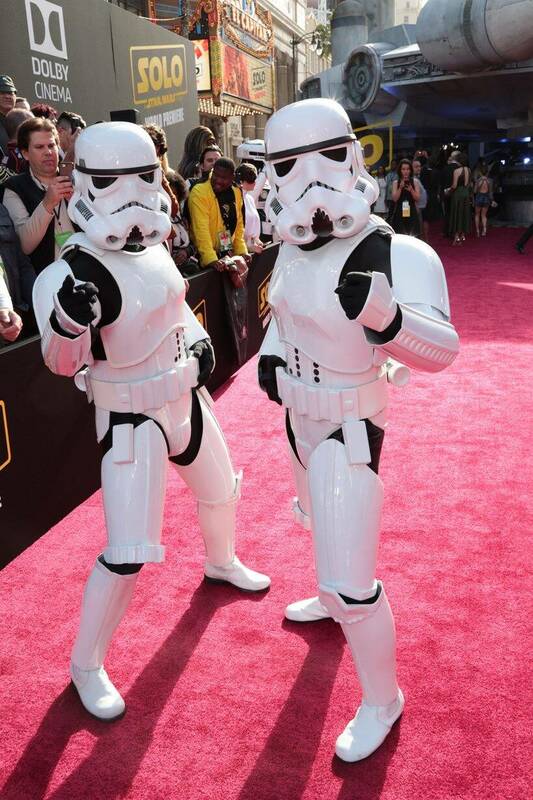 The Stormtroopers also made their presence felt. 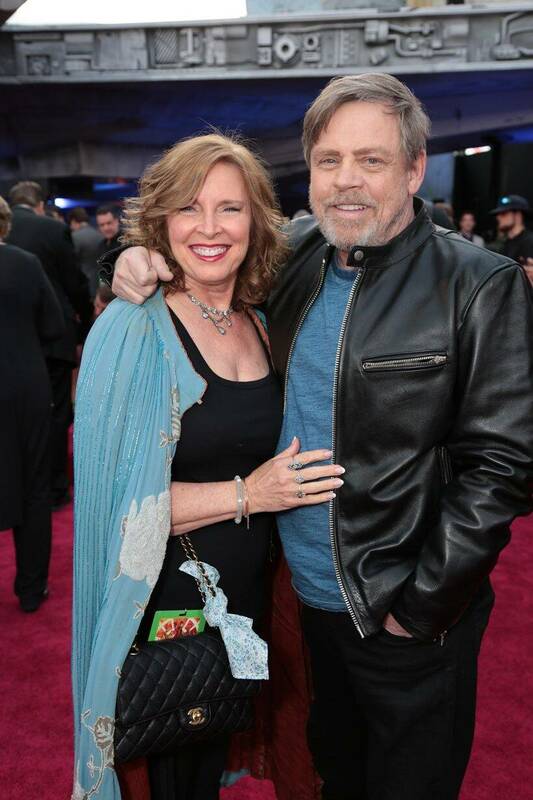 Mark Hamill also turned up along with his wife Marilou York. Hamill played the character of Luke Skywalker in the original trilogy and reprises the role in the ongoing sequel trilogy. 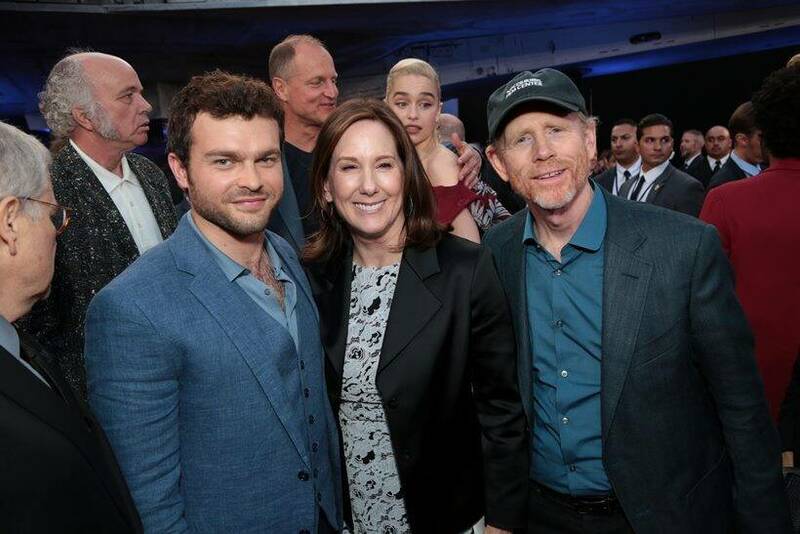 Alden Ehrenreich and director Ron Howard snapped with Lucasfilm president Kathleen Kennedy. Kennedy recently congratulated Avengers: Infinity War for breaking the biggest weekend opening record of Star Wars: The Force Awakens.